If you follow me you already know that I recently updated my kitchen island with faux brick. 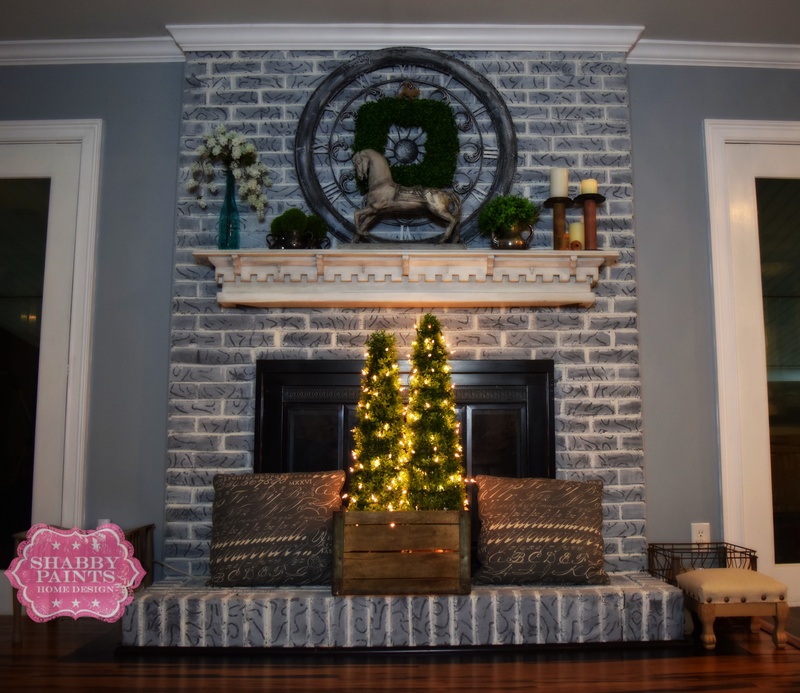 (Install Faux Brick and age it for under $30.00) I loved it so much I decided to give the same aged look to my real brick fireplace. After thoroughly vacuuming the brick, I painted the grout lines with Alamo White in small sections, then used a slightly damp rag to spread paint over the entire section. You can see how I did it in the below video. It really was as easy as it sounds. It took me an hour and 10 min to paint the brick and less than 8 oz. of paint. So this project cost me less than $10.00…Woo Hoo!! Well the transformation didn’t stop there, the Worn White mantle no longer worked so I repainted it with Alamo White and Black reVAX. Now it is perfect! It is so warm and inviting. Oh and my husband is over the moon excited about it. He doesn’t usually say anything about my projects but this one has him complimenting it every time he walks in the room. Great reaction for less than $10.00. That looks awesome! Where the video stops the brick looks a little lighter than the finished product. Did you use the rag a little longer to take off some more of the white or are my eyes deceiving me? Sandy, Thanks! 🙂 I think the lighting has something to do with it. Led lights really mess with my pictures. I didn’t wipe any more than what you see in the video. How did you change the mantle? Loving this, thank you for the inspiration and instructions! I think Martina is asking what I’m wondering – The first ‘Before’ picture shows a plain mantel, but it’s modified in the second ‘Before’ picture. 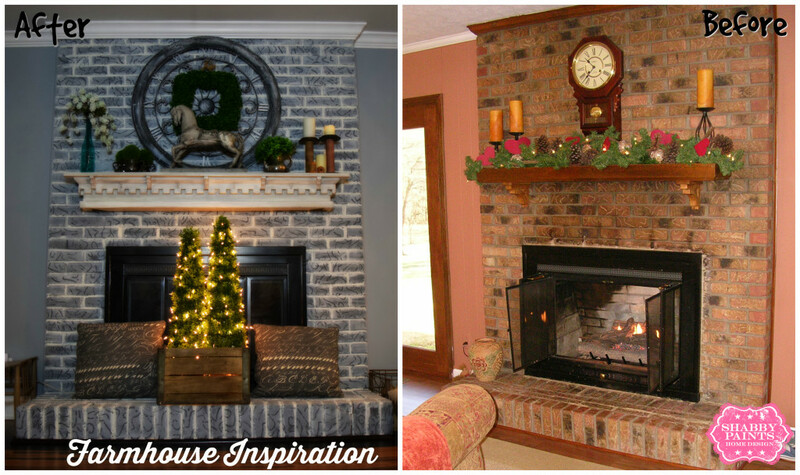 How did you build out from the original mantel? Thanks! I forgot about the mantel being different. My uncle made that for my parents a few years ago and it didn’t work with their stone, so lucky me 🙂 . He is so talented. I went to their site looking for info, but didn’t find it. I whitewashed my chimney years ago, and I’m not satisfied with the look. I’m wondering if this could be my fix. Do you know if they work outside as well? Thanks Lesa! He is super talented!! 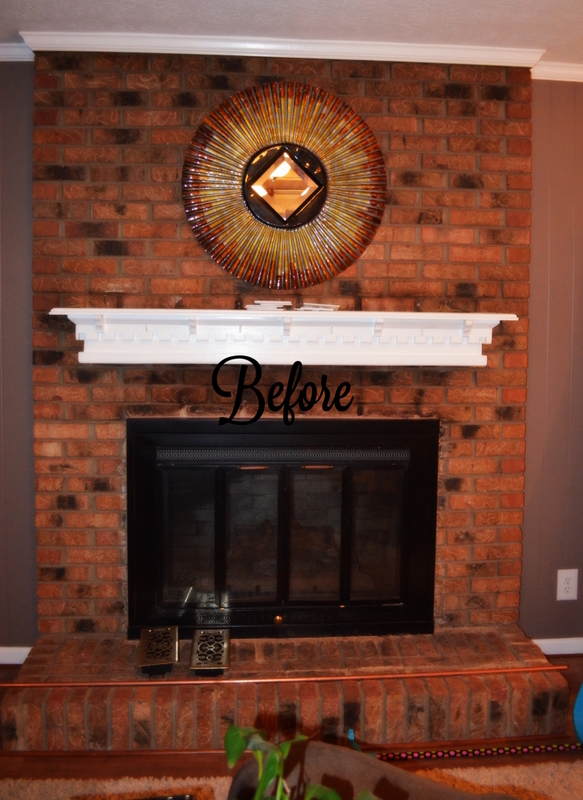 Wow is about all I can say about your fireplace, redo! It took my breath away! 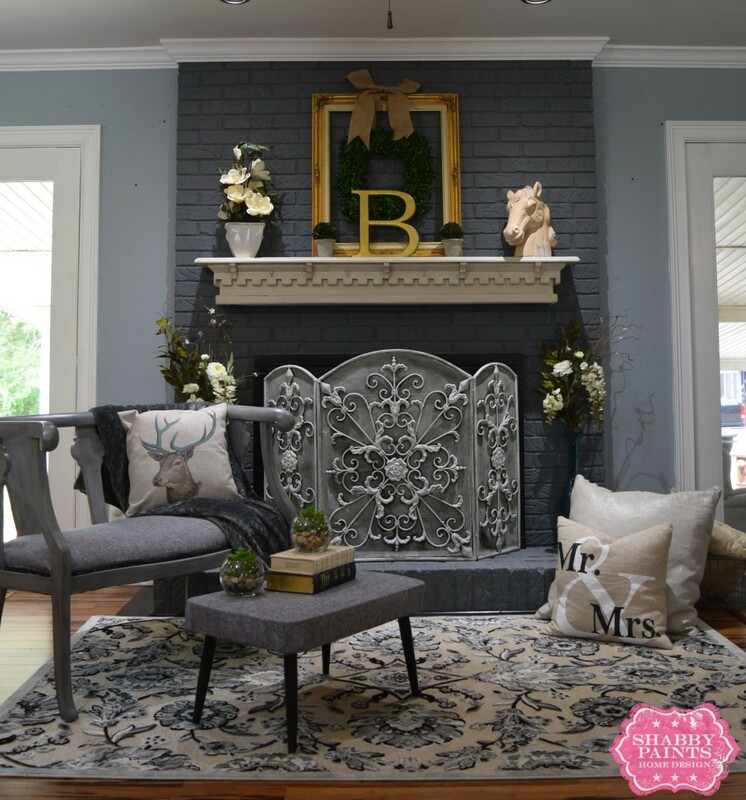 I have a white painted brick fireplace and wondered if I could do the technique you’re showing but use gray paint instead. I love this! Thinking about doing a “faux brick” accent wall. Saw your post on “how to” and am going with your directions. This is great!! Hi there, two questions: Any idea where I could buy a similar mantle? What is the color of grey that was used. Thanks!